Existing guests: For every new client you refer, you receive $10 off your next appointment. 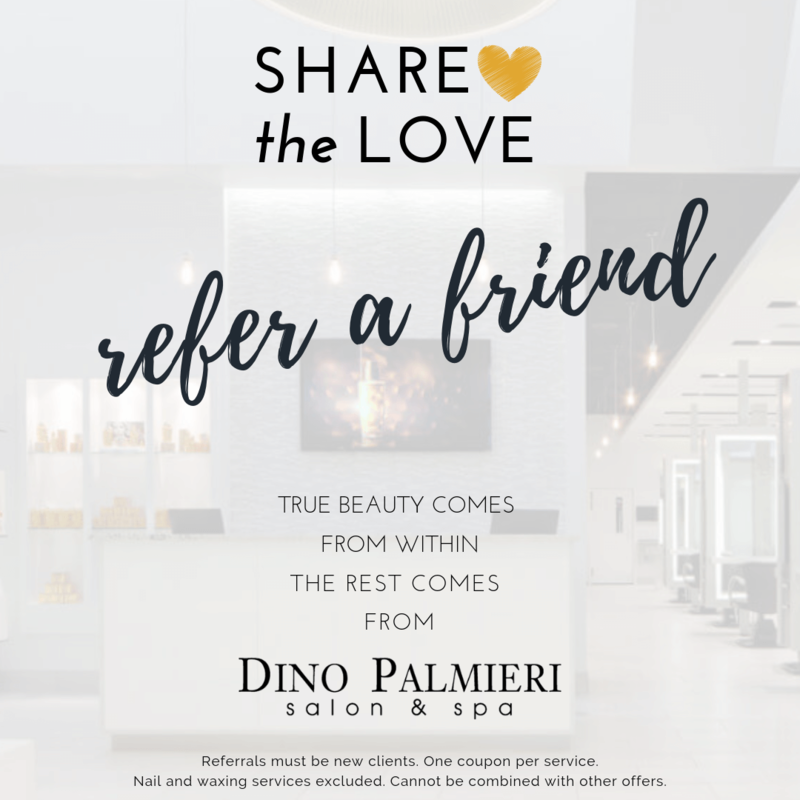 New guests: Receive $10 off your first service at any Dino Palmieri Salon & Spa. Referrals must be new clients. One coupon per service. Nail and waxing services excluded. Cannot be combined with other offers. © 2018 Dino Palmieri Salon.